The Spurriergate Centre opened in 1989 and occupies what was once St Michaels Church York. 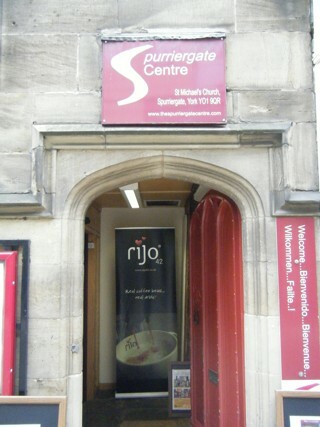 The centre is a charity that offers refreshments for people whether they be working in or visiting York. There are still monuments on the walls and some gravestones used in the floor, though many are now badly worn. The GPR holds 15 grave and 47 person records for the burial ground.